Material: Yttrium Enhanced Copper Core. Model: Sorento 3.3i. BOSCH SPARK PLUGS > SUPER PLUS. Bosch Short Code: 45. Plug Type: Super Plus. Part Type: Spark Plug. Warranty Period: Manufacturer Warranty if applicable - See Bosch website for more details. Material: Yttrium Enhanced Copper Core. Model: Sorento 3.5i. BOSCH SPARK PLUGS > SUPER PLUS. Bosch Short Code: 38. Plug Type: Super Plus. Part Type: Spark Plug. Warranty Period: Manufacturer Warranty if applicable - See Bosch website for more details. 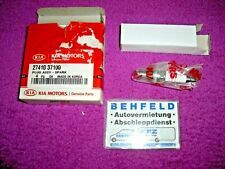 Bosch Short Code: FR6KI332S. Model: Sorento 3.5i. 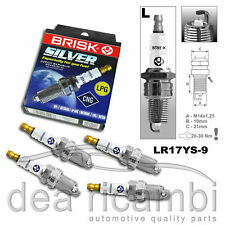 BOSCH SPARK PLUGS > PLATIN-IRIDIUM FUSION LPG-GAS. Plug Type: Platinum-Iridium Fusion CNG/LPG-Gas. Part Type: Spark Plug. Fitting Note 1: Product for gas operation only. KIA SORENTO I (JC) 3.3 V6 177kW dal 12-2006 al - [Anno fino a[=>]08/2009]. Informazioni sul Sistema Accensione BOSCH. NISSAN[=>]2240158S15. NISSAN[=>]22401ZE01B. MITSUBISHI[=>]851335. KIA SORENTO I (JC) 3.5 V6 4WD 143kW dal 08-2002 al - [Anno da[=>]03/2003 -- Anno fino a[=>]08/2009 -- Tipo carburante[=>]GNC/GPL -- Sostituire dopo km[=>]30000]. Informazioni sul Sistema Accensione BOSCH. Spark Plug 1 - Earthed Electrode. KLAXCAR FRANCE 43047z. ASHIKA PK22PR-L11S. Model: KIA SORENTO I. Set of 6 PureSpark Iridium (Iridium centre Electrode) Spark Plugs. With its iridium center electrode this spark plug will match most other Iridium spark plugs available while still at an affordable price. Model: KIA SORENTO I. The ultimate spark plug with its iridium center electrode and an Iridium ground electrode. Ideal for long service intervals or an upgrade from standard copper platinum or Iridium spark plugs. Model: KIA SORENTO I. Set of 4 PureSpark Iridium (Iridium centre Electrode) Spark Plugs. With its iridium center electrode this spark plug will match most other Iridium spark plugs available while still at an affordable price. NGK Zündkerzen - damit der Funke überspringt. Für nahezu jeden Motor bietet NGK daher die optimale Lösung. KIA SORENTO I (JC) 2.4 08.02 102 139 2351 Motorcode G4JS 8253-352. ALS FAVORIT SPEICHERN. Das komplette Zündkerzenprogramm von NGK umfasst ein breites Spektrum an unterschiedlichen Zündkerzentypen. Model: KIA SORENTO I. Twin Iridium: The ultimate spark plug with its iridium center electrode and an Iridium ground electrode. Ideal for long service intervals or an upgrade from standard copper platinum or Iridium spark plugs. Bujía NGK PGR5C-11 Hyundai Santa kia Sorento yo. KIA SORENTO I (JC) 2.4 Vehículo de todo terreno 08.02 102 Código del motor G4JS 8253-352. HYUNDAI SANTA FÉ I (SM) 2.4 16V Vehículo de todo terreno 02.01 - 03.06 100 Código del motor G4JS-G.
4 piezas de usted. Bujías originales de S. 4 piezas brillan. proyecto original. Enchufe de resplandor original S AUDI A4 avant 2.0 TDI 8ED/quat 125 KW BJ 04-0819,90 EUR. Enchufes de resplandor original S Panda FIAT Punto 1.3 JTD 51 KW 70 HP BJ 03-1021,99 EUR. 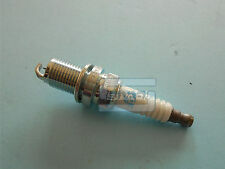 GENUINE BOSCH NICKEL SPARK PLUG FR7NES. Thread pitch 1,25 mm. ASK US AND WE WILL CHECK FOR YOU. WHY BUY FROM US?. Tightening torque 28 Nm. Simply place the grooved end over the spark plug wire with the engine running and the high intensity bulb will flash indicating spark. Kia Sorento I. Pen type pocket clip for handy use.